Just picking up and indoctrinating some new riders on the Ashbury Medicine Show wagon … stay tuned will out peddling our music snake oil around town very soon. 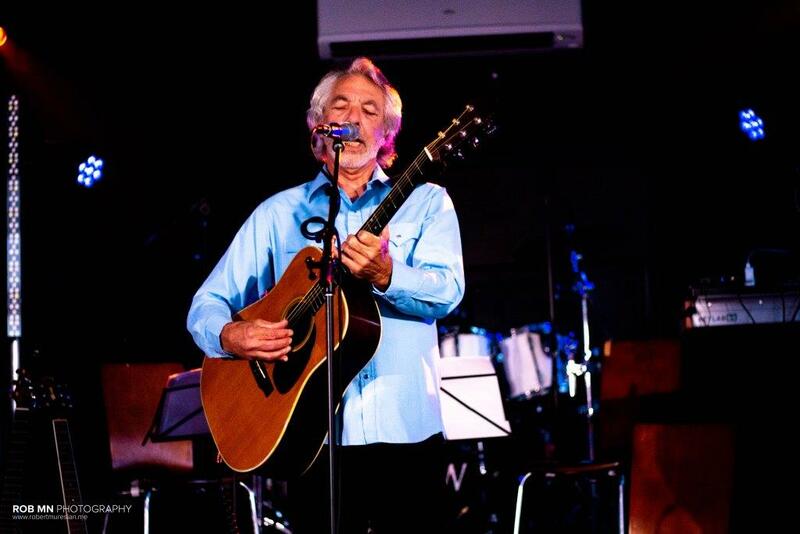 I and the band have been on a little hiatus as we spread out to different parts of the world on different missions. The Mrs. and I took some time to have have a little look see around the Northern Territory. and of course visit the shop on your way out! Check out my blog page, My Take to read some of my recent writings, published articles, rants and raves, music industry issues, environmental updates, opinions, links to highly recommended musicians, products and services and other really important stuff. 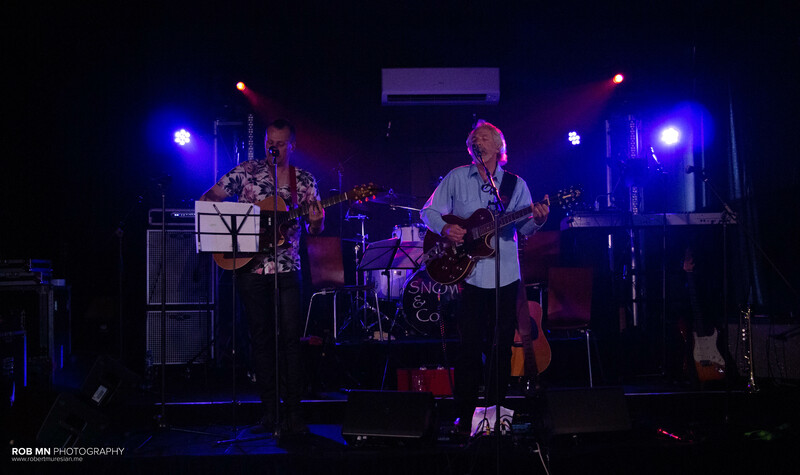 Always an a special honor to be asked to play at someone’s special occasion gig so it was my pleasure to open the proceedings for my good friend and former bandmate Paul Snowden. Paul left no stone unturned for the launch of his band Snow & Co’s CD Patterns (check it out), great venue, lighting, sound and a big crowd of family, friends and well wisher musicians. 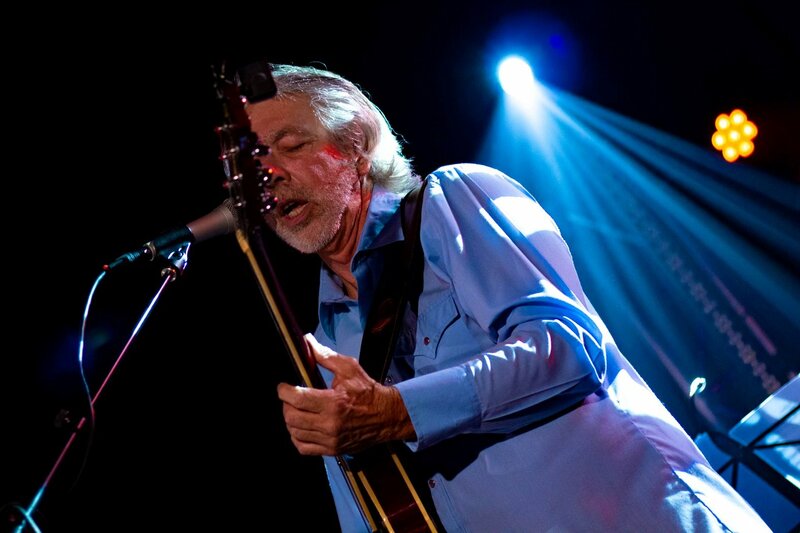 Always good to get a chance to play some solo stuff as I get to play a few that I don’t play with the band like Once We Were Neighbours and Gold Rush of 2000 and Last Of The Old Folk Rockers from Bob Crain – LIVE. Paul got up and we did a duet on an old song of mine from the Hippies Were Right … Industrial Revolution which was in the set list from our The Likely Suspects days … it was great just like we always played it. 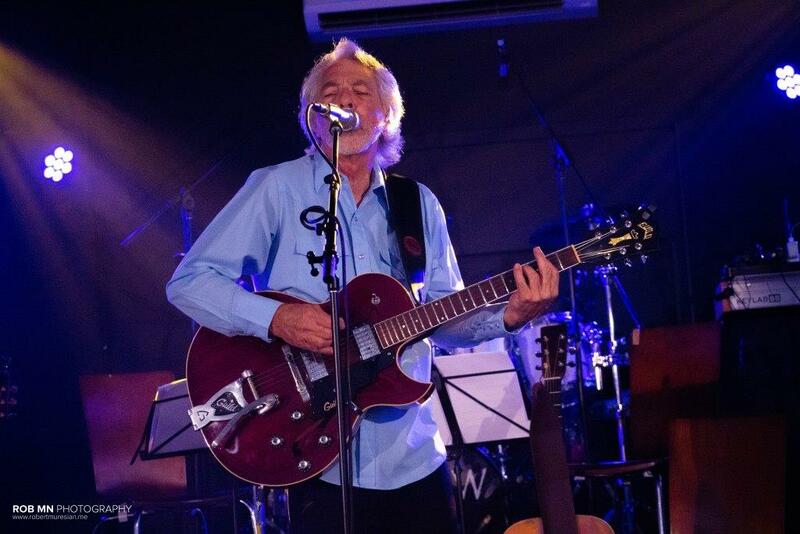 Paul is an excellent guitarist, singer and songwriter always fun to get together with other players on stage and turn out a tune or two. Check out some nice pics taken by Rob Muresian www.robertmuresian.me … he takes some really good musician shots good angles. 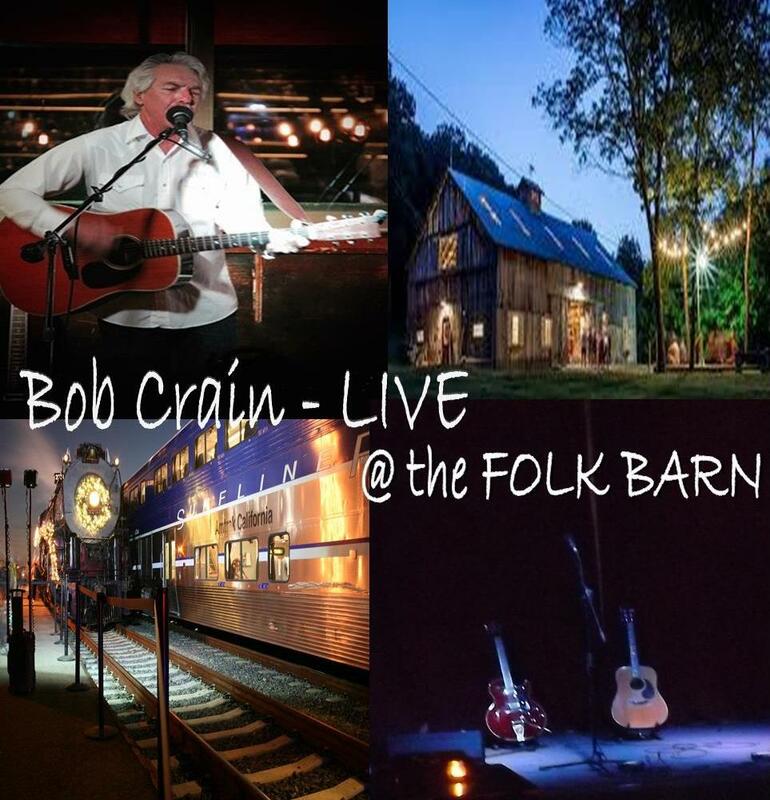 Bob Crain – LIVE, was recorded in front of a live and very attentive and appreciative audience at Kate and Karl’s Folk Barn in Northern California during a very short trip to the US in Oct. 2017. 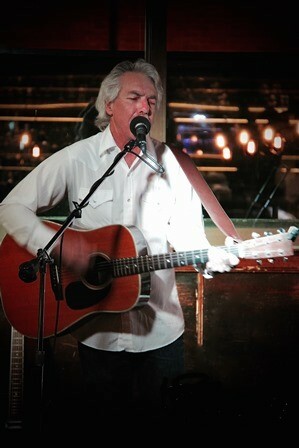 The digital download of the set will be available from my website www.bobcrain.com.au on April 22, 2018 for the bargain of a life time price of $5. The live set includes 7 new songs and 2 songs from previous releases along with all the dialogue. storytelling and chit chat that is part of a live set. Thanks to Adrian Akkerman at Incubator Recording in Melbourne for cleaning, tracking, mixing and mastering the raw recording in to a format that can be easily transferred via the web. 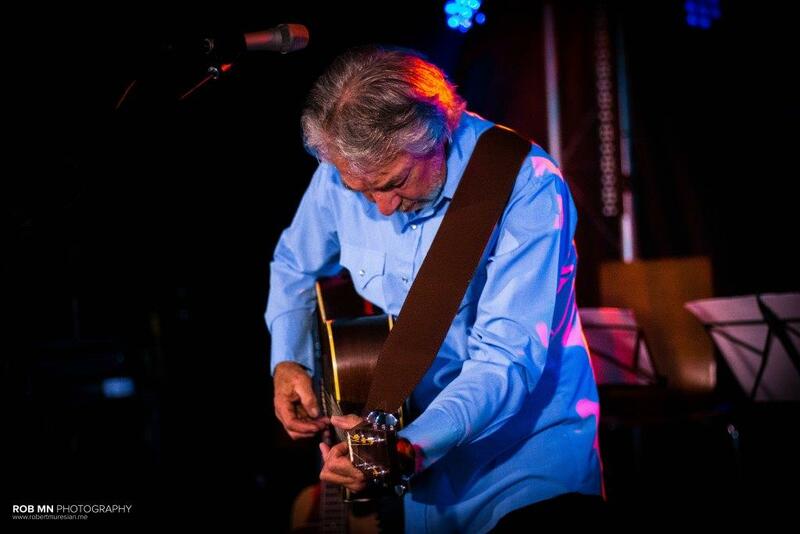 My website has been updated including a secure link for purchases from the Shop, everything is there on the website, including snippets from 3 of the songs in the set on the Media Page. The website is now user friendly and driver friendly … have a look around. Why exclusively from my website ?? ?, simply because real folk rock has a limited appeal nowadays unfortunately and it would just get lost in the mash of commercial stuff, pseudo folk, “singer songwriter”, something labeled “Americana” or all of the “alternatives” available on the digital reseller sites. Besides that, the minimal income provided from resellers sales is not worth the time, effort and expenditure it takes to get it up there, they don’t need any more profit. Why the whole set for only $5 ?? ?, simple, I want you to buy it and listen to the entire set and enjoy a live solo set of my music in the comfort of your own listening environment. Why are there no single songs available for purchase ??? there is not and will not be a “single” released from this set. It is a live set, you get the whole set for $5 that’s it. Gee $5 are you underselling your music ??? why sell it at all just put it up for free download and let the people listen ???. I don’t think I am underselling if I went through a reseller I would get less. As with most independent musicians our art is self-funded, I did not run a “help fund my art campaign” and there was only a small stipend from the venue (although I did sell quite a few Humanology 101 CD’s). The value of having a live set professionally recorded is enormous, something generally out of reach at this career level, travel, engineering and production cost money, the $5 will help to recoup a bit of expenditure … not considering a yacht at this point in time. What no CD’s ?? ?, no I am afraid not (at this time anyway) producing physical CD’s is expensive and environmentally questionable what with all the plastic, paper, handling and shipping. 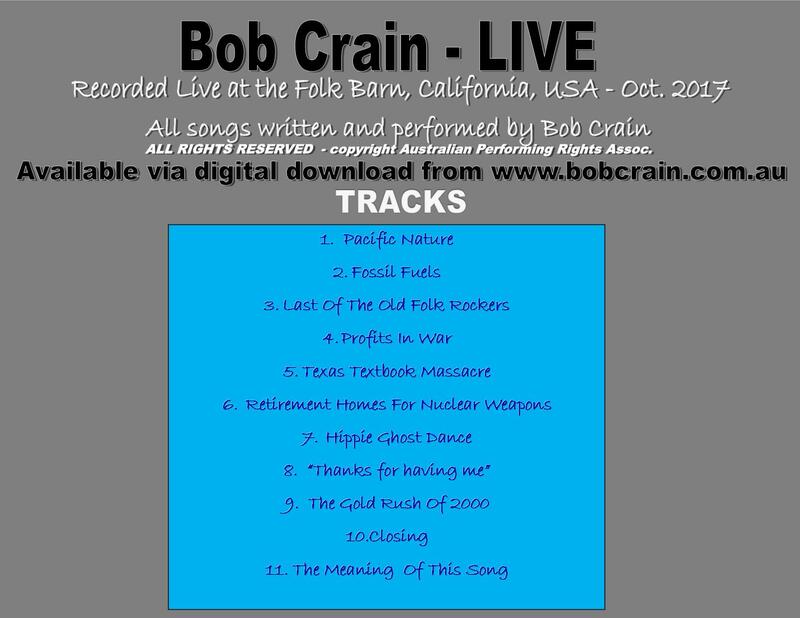 Don’t get me wrong I love CD’s and the CD player in my car but almost all of the listening public have a computer, music player, a PayPal account, credit card and probably a CD burner as well, beside this way you get Bob Crain – LIVE immediately no waiting by the mail box in anticipation. You can Pre Order now or wait till the 22nd of April and get it hot off the world wide web lines straight away. The gigs were in the US so there is some pandering to a US audience in the song selection, but I think they also have a world wide appeal considering the small digital world we now live in. I do hope you will buy, have a listen to and enjoy this live recorded set. Art is meant to convey a message and I hope that I have articulated a message or two, some you may agree with, some you may not and some may mean something entirely different to you than the message I sought to convey … but that is art, it’s open to interpretation. You can comment on the music via the website or the various social media outlets … go ahead, I look forward to it.